Tim Holtz Idea Ology Mini Book Rings: Silver, Antique Brass And Antique Copper. The perfect addition to any craft or mixed media project! 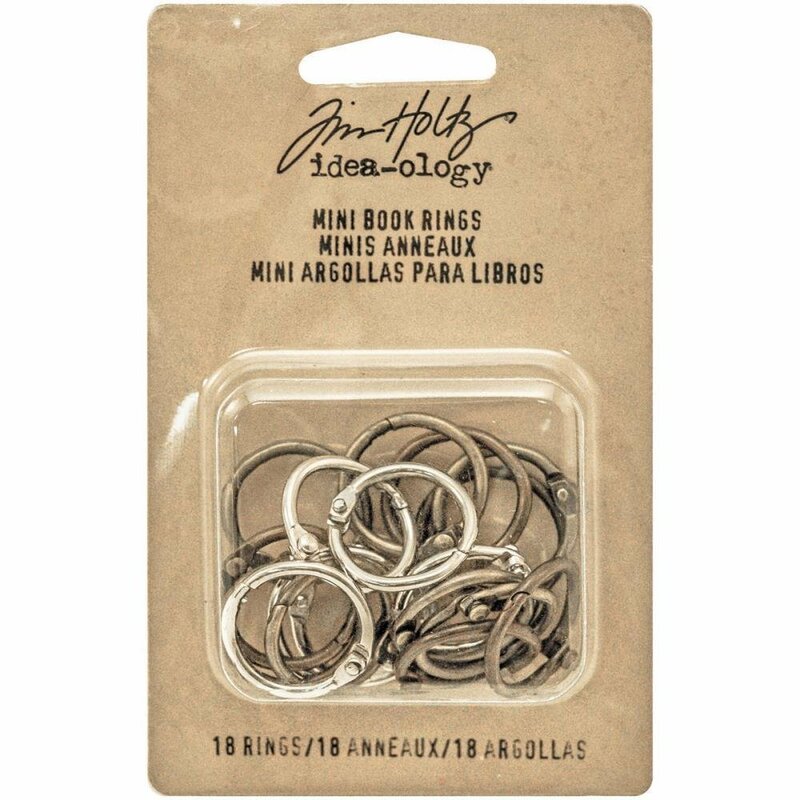 This 4-1/4x2-3/4 inch package contains eighteen mini book rings in assorted colors.